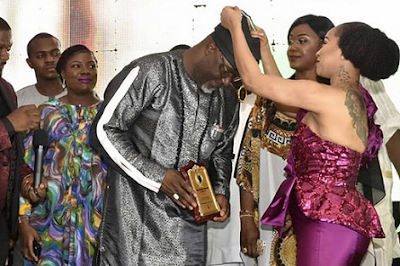 Senator Dino Melaye, representing Kogi West senatorial district has shared photos of Nollywood actress Tonto Dikeh decorating him as the most outstanding Lawmaker of the Year Award on his IG page. 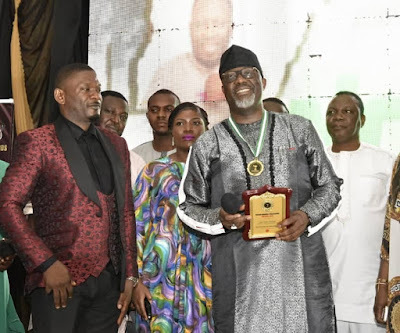 He wrote; ”Actress Tonto Dike decorated me as The Most outstanding Lawmaker of the Year at The Nigerian Goodwill Ambassador Award 2018”. My conscience will tell me if l’m worth it or not, shikenah. Senator Dino Melaye is the man of the people.He speak my mind in the house of the senate. I hold him in high esteem.